Performance of "Impression West Lake", a unique metropolitan out-door performance on natural stage setting in the world. 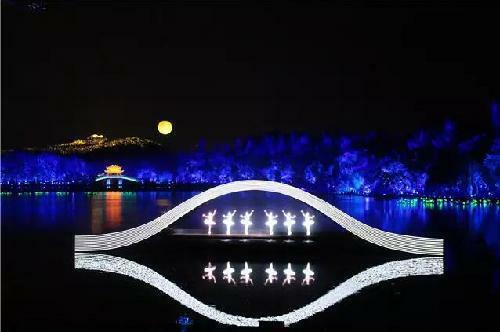 Staged on the wavy, mellow and changing West Lake, the performance appears vivid and natural. Contented with the myths and legends of the West Lake, the show leads you to a sweet thousand-year dream. The special concealable auditorium provides a wide and bird’s-eye view. 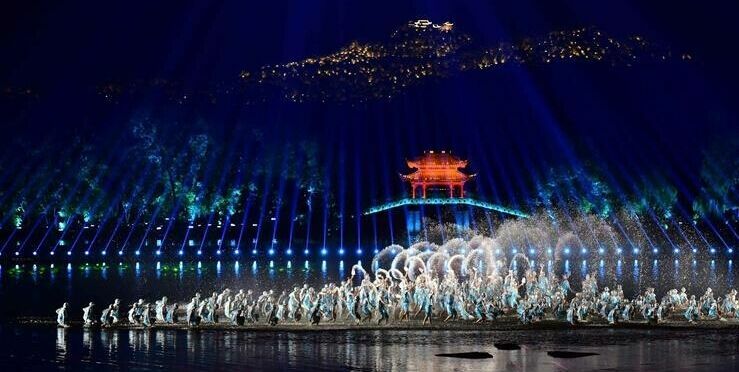 Staged entirely upon the lake itself (a stage has been built 3 centimeters below the surface), Impression West Lake is a world class spectacle of light, music, dance and theatrics. Using the lake and its surroundings as props, lights and hundreds of actors create a sensational performance.